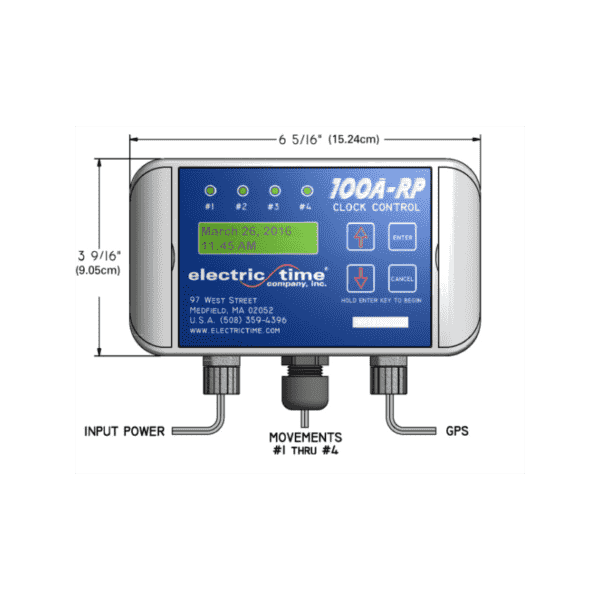 The 100A-RP Clock Controller is a microprocessor based master clock that provides completely automatic control of 4 1independent 24VDC “Reverse Polarity” (RP) minute impulse clock movements. Outputs can be configured for multiple time zones and watch complications. Available with different design battery packs or mains power supply and time bases.